The holidays are here, and all the hustle and bustle means more holiday traffic – and the more cars that are on the road, the higher the chances of accidents Here at Carolina Collision & Frame Service, we want to help you (and your vehicle) make it to your destination safely. 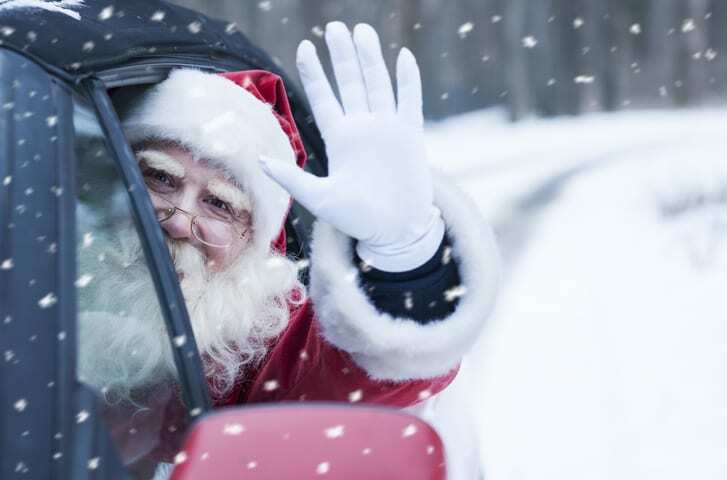 Here are four tips for safe holiday driving so you can avoid needing an auto body repair. Plan your routes – Take time to lay out your route to your destination. In fact, try to plan out multiple routes in the event that there’s an accident or road construction. This will help you be prepared and reduce frustrations. Check the weather – Check the weather both before and during your trip. Winter weather makes for some of the most dangerous driving conditions possible. If the weather looks bad, consider changing your schedule until things improve. Drive attentively – Make sure you’re both mentally and physically able to concentrate on the road. If you’re drowsy, pull over at a hotel or rest area to get some sleep. Driving while tired will increase your chances for an accident. Stay alert to the road itself as well as other drivers. Have an emergency kit ready – Before you head out on the road, make sure to have emergency supplies in your car. In case you break down or are stuck in traffic, you’ll have food, water, first aid supplies, and a blanket. Sometimes an accident can happen regardless of how many safety measures you take. If this happens to you, the auto body repair shop at Carolina Collision & Frame is here to make the repairs for you.